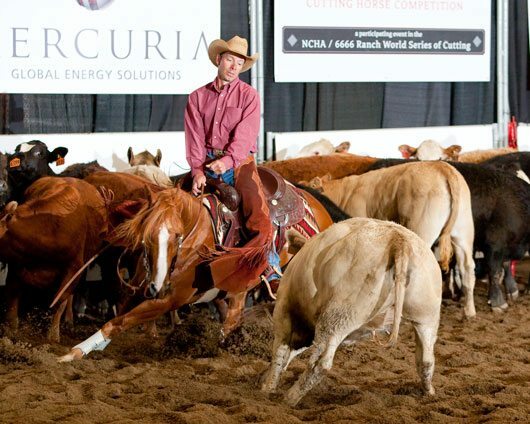 Trainer and competitor Brad Pedersen at last year's NCHA World Series stop at the Calgary Stampede Cutting. Photo courtesy of James Hudyma. Although it would require a serious commitment in travel hours for any cutter, the 2010 Mercuria National Cutting Horse Association of Cutting is an exciting string of competition held in world-class arenas, and often, in conjunction with venues which at the same time, host a variety of recreational opportunities. 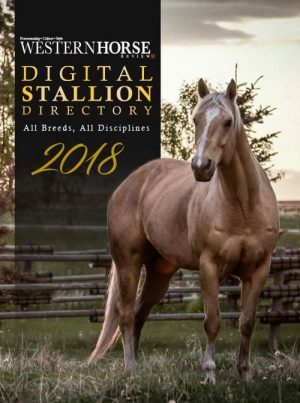 The World Series of Cutting is a series of eight events across the United States and Canada that draws the world’s best Open cutting horses and Non-Pro riders. Each of the World Series shows offers $25,000 in added money to both the Open and Non-Pro events. Every finalist cashes a cheque and the crowd-pleasing format helps bring cutting to new audiences all across North America. Battle in the Saddle, the country’s newest equine event has been selected as a tour stop in the National Cutting Horse Association’s Mercuria World Series of Cutting. Battle in the Saddle was announced last November in Oklahoma City and is an exciting new competition owned by State Fair Park and managed by AQHA. The competition will take place July 5-10. Battle in the Saddle is open to all breeds and will feature $130,000 in added money for an estimated $300,000 in total purses. Cutting, reining, roping and working cow horse classes will be recognized as AQHA special events. All breeds are welcome but Quarter Horses competing will receive AQHA points. The ranch horse competition is open to all ranches that meet the criteria of the AQHA-Bayer Best Remuda Award. Roping events will be recognized by the American Rope Horse Futurity Association and follow ARHFA rules. 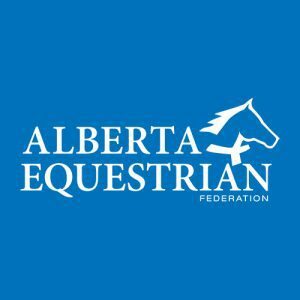 Horses competing in the cutting will receive National Cutting Horse Association recognition. Ancillary reining classes will be approved by the National Reining Horse Association and NRHA affiliate Oklahoma Reining Horse Association. The National Reined Cow Horse Association will be involved as well. Adding to the excitement of the competition, the selection trial for the United States Reining Team that will be representing the United States at the 2010 Alltech FEI World Equestrian Games will take place during Battle in the Saddle. See who will join the U.S. Equestrian Team as reining members to go for the gold at the 2010 Alltech FEI World Equestrian Games,www.alltechfeigames.com. 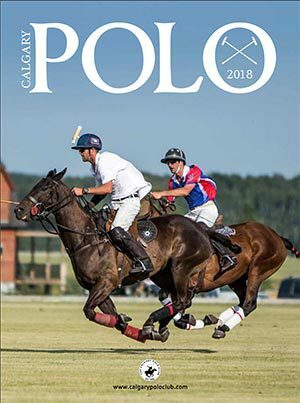 Battle in the Saddle will be held in conjunction with AQHA’s Youth World Cup, a team competition between youth from 17 nations scheduled to attend. In addition to the exciting equine competition in the arena, Battle in the Saddle will also feature a trade show. Other special events are also being planned to be held during the competition. State Fair Park in Oklahoma City, often referred to as “The Horse Show Capital of the World,” is a premier equine facility that annually hosts the American Quarter Horse Association World Championship Show, the National Reining Horse Association Futurity and Derby, the U.S. 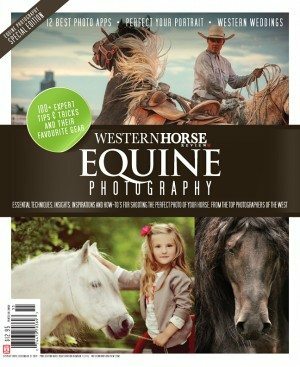 Team Roping Championships, the International Finals Rodeo and many other major equine events. With more than $70 million in recent renovations and stalls available for 3,000 horses, State Fair Park has become the go-to destination for top-tier equine competitions and events. For more information, or to enter, visit www.battleinthesaddle.com.